Anyone who’s active on social networks, connects to wifi hotspots or banks online needs the most powerful antivirus protection available. 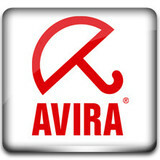 Avira Internet Security is an all-in-one security suite that integrates powerful functions like antispam, advanced antiphishing, antibot and parental tools, along with a feature-packed firewall. · Security ratings in your search results—know before you go!